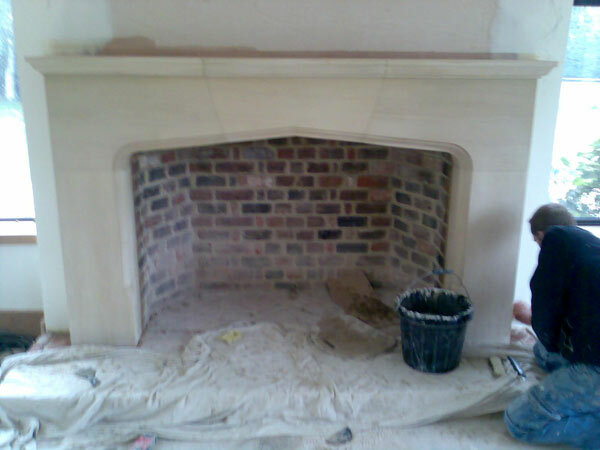 This was a very enjoyable project with an extremely gracious client. The client asked The Billington Partnership to complete one of the final phases of a two year refurbishment in a property in Guildford, Surrey. Our task was to design and build a bespoke Tudor limestone fireplace for the drawing room. 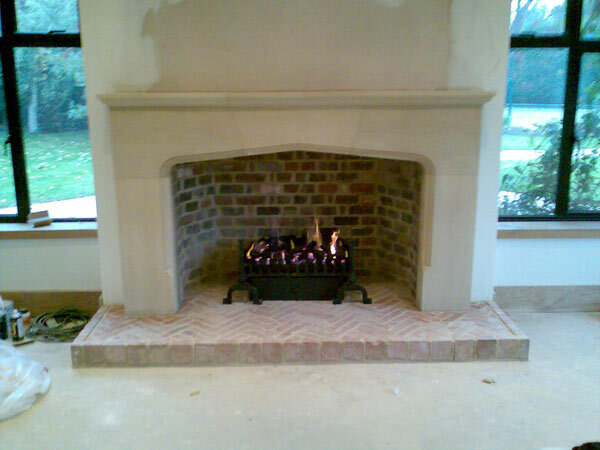 The client needed the Tudor limestone fireplace built over a purpose-built brick inglenook opening. 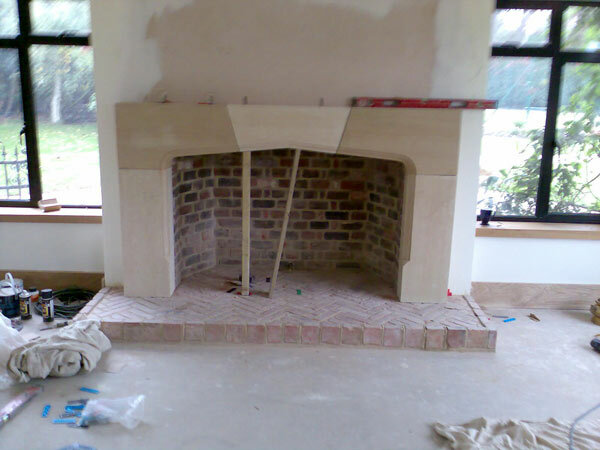 The elegant yet simple tudor limestone fireplace was the easy part of the project. 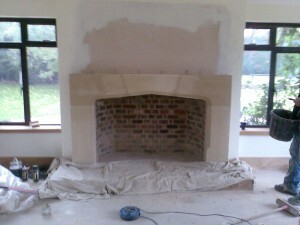 Although the solid stone fireplace was extremely heavy to manoeuvre. The hard part of this project was the fact that the client wanted a very large opening but with no hood. 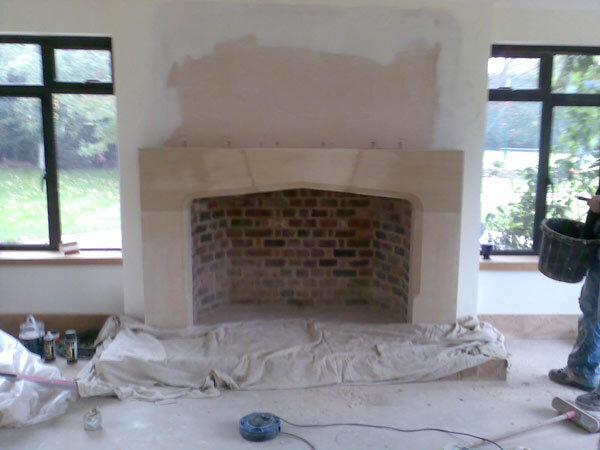 Therefore, we designed and installed an 18” (internal diameter) twin walled flue in order to achieve the right draw. Finally, the 24” swans nest and gas fire were installed and the chimney drew beautifully. The client simply loved it. A pleasure to work for.